Why Can’t Investors Look Beyond Gender? A study just released this month by Boston Consulting Group concluded that startups owned by women are more successful than those owned by men. Those female-owned startups delivered on average 10% more in cumulative revenue over five years. Yet in 2017 only 2% of investment dollars went to women. WHY??? Why don’t investors look beyond gender and focus on results? Is it because the opportunities aren’t out there? Nope, last year 17% of startups were founded by women (also a sad statistic). So 17% of startups sharing 2% of overall funding. Hmmm…is it, because, as suggested by BCG, those investors don’t understand the products and services being pitched? Maybe—but they understand healthy margin structures and a solid business plan. So no, not buying it. There is weight to the fact that when men pitch they make bolder, more aggressive projections. But that cannot account for a disparity of 98% vs. 2%. No way. The problem is passion and the lack thereof for female-owned startups. The vast majority of investors are male, and VC’s in general try to minimize risk, so invest in familiar social networks, or people like them. They’re just not as interested when the founder is female. Understandable, but it’s time to change. While writing this article, I looked for other hypotheses and solutions, and found a lot of rhetoric. One option, written in 2018 (!) suggested women focus more on their local SBA. Perhaps a good resource, but really? Versus going after a couple of million? I felt like I was getting a pat on the head. What I also found are common themes: women need a stronger network and more support, we need more female VC’s and there must be more women coming up through the ranks. All true, and all happening, but oh so slowly. In the meantime, get the word out. Educate. Pass it on. If nothing else, remember this: $85 million. You know that statistic on female-led startups generating more than their male counterparts? 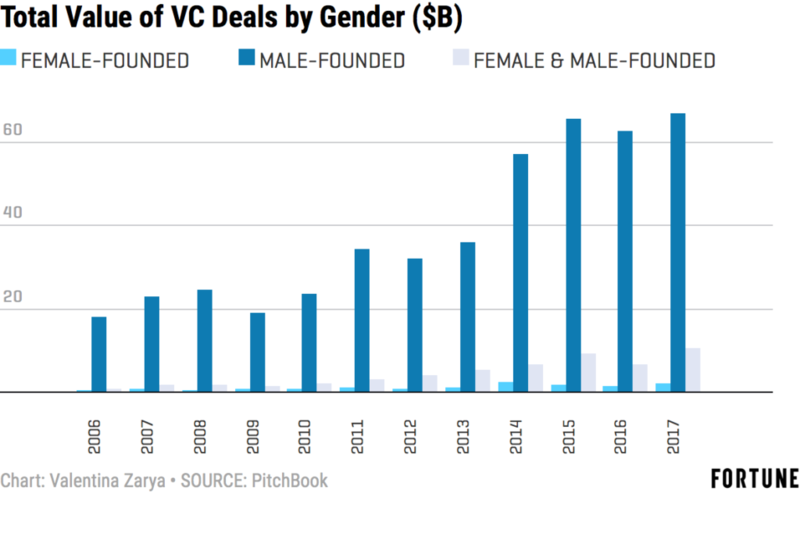 Turns out if VCs had invested in equally in male and female-owned startups equally in the last five years, they’d be $85 million richer.